Happy Fall! Here’s a pic of what I worked on this past weekend! 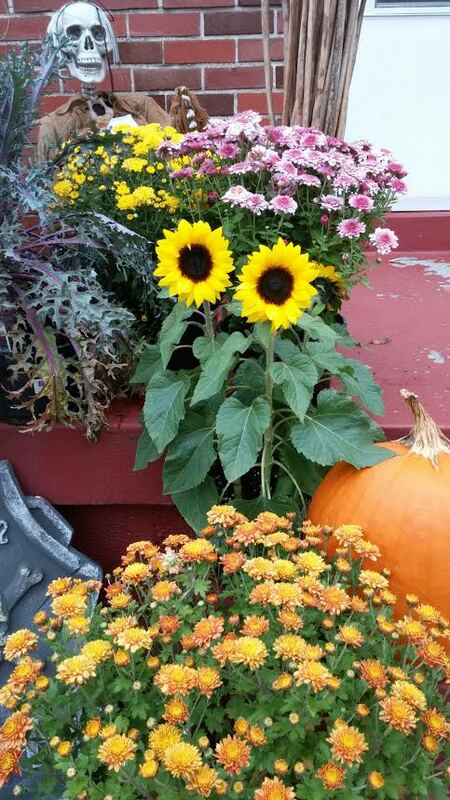 Mums, sunflowers, and kale for the front porch. Pumpkins. Gourds. 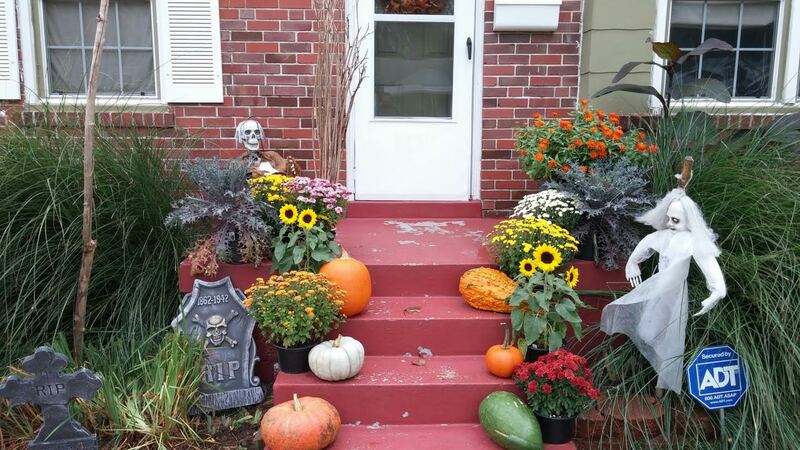 I even put out the ghouls and tombstones. 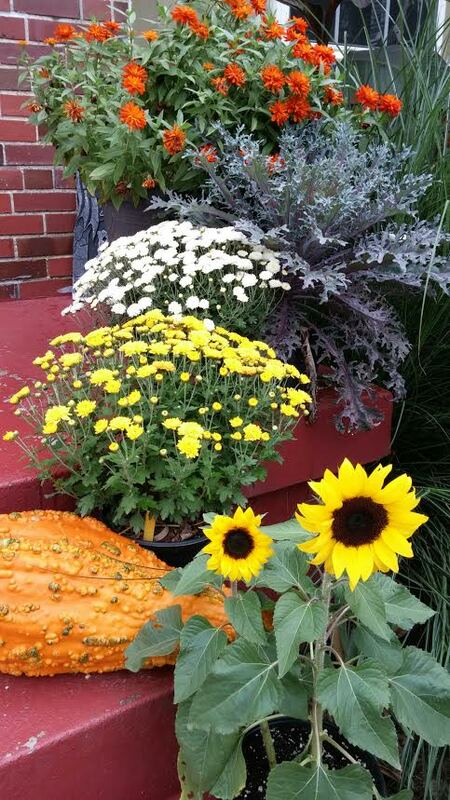 I usually just do mums and a few pumpkins and the decorations, but I couldn’t resist the kale and sunflowers this year. And the sunflowers bloomed just a few days after I got them. Those tall branches on the porch on the left are a bundle of dead lily stems I collected from the garden, and those are the orange zinnias on the right which I posted a pic of a few weeks ago.